Hey BlondeBomber, it was great seeing you today. It's funny because, what caught my eye was your laminated SE tags, when you were retrieving your bags from the overhead. It was then that I thought I should have a look and see who owned them. tcook052 and longtimeflyin like this. Happy to have bumped into YEGcited @ YEG this AM for a few minutes before heading to gate. jc94 and quantumofforce like this. 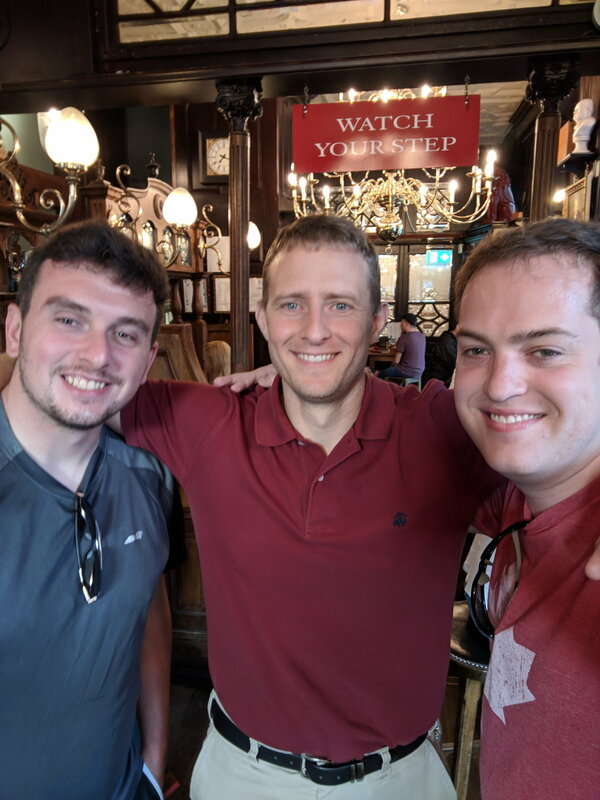 The three of you randomly bumped into each other at the same pub in London? Or you bumped into the two? Hopefully you didn't fall over after getting bumped. I mean, cowtipped. It was a travel encounter with other Air Canada forum members. What pub and what part of London? The Red Lion near Big Ben. What better than to bump into a fellow FTer at a famous FTer's piano concert! xray and longtimeflyin like this. yup, I had to watch Jan's autograph table to find out who @fin 645 was ! I guess you could say we had a brief Micro DO in Gan! 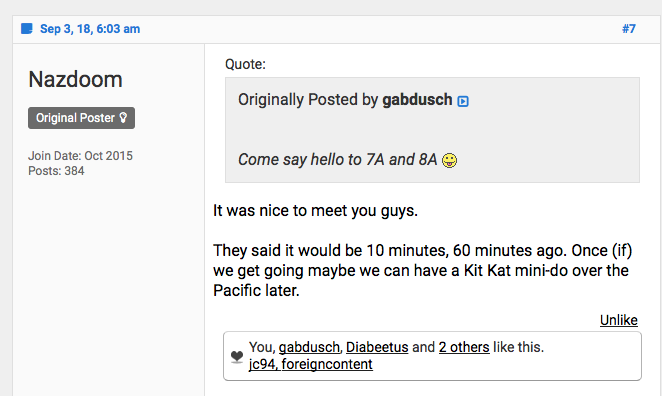 Delay on September 3 AC18 TPE-YVR; Any insight into the flight remarks and the ETA? 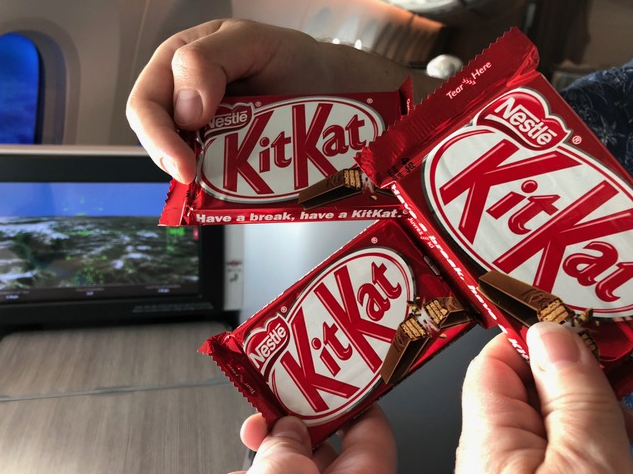 Later in the flight, @Nazdoom, @gabdusch and 24left were finally able to have the Kit Kat mini-do over the Pacific. LOL and awesome.....well, maybe not the 3 hour delay part. vernonc, Diabeetus and Nazdoom like this. Sometimes you have to go to a DO for that. 24left and longtimeflyin like this.